43 million people live in poverty in the US. 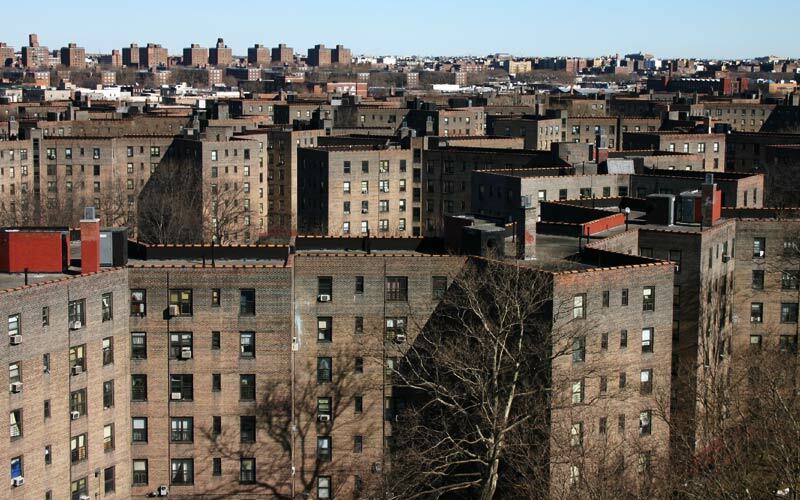 Sadly (but not surprisingly), a disproportionate 1.8 million live in New York City. This past Monday, I had the opportunity to put a face, name, and several amazing stories to a few of these otherwise nameless statistics. I also had the chance to become one of the statistics. The purpose of this post is to share a few things that I learned/affirmed/was surprised by/just need to get off my chest. The 9 other Acumen Fellows and I came into the office Monday morning with the ambiguous instructions to wear comfortable shoes and vague guidance that the day was about exploring what it means to be poor in New York. We soon found out that this entailed individually exploring the effectiveness of social services provided by New York, from the perspective of poor individuals in the city. Having written about the relativity of poverty in a global village just days before, I was extremely excited to further explore my theories; and after much internal debate, I decided this would be best accomplished by assuming the role of someone in a marginalized community. Ultimately, I believed this would encourage deeper conversations with marginalized individuals – and also force me to confront personal emotions, public reactions, societal stereotypes, etc. – in a way that I wasn’t able to during my previous two years living and volunteering in Harlem. I also believed the scenario I adopted – a recent transplant from CA who was struggling to establish himself – could easily be reality if one or two things turned out differently. So – equipped with only 5 single dollar bills and a 2-ride metro card (i.e., no Blackberry, camera, iPod, etc.) –the 10 of us anxiously split up from our safe haven in the Meat Packing District, in hopes of better understanding poverty in NY. And after 7 tireless hours – and over 2 dozen conversations with people at places like the Urban Pathways drop in center, Holy Apostles Food Kitchen, Mainchance Shelter Home, St John’s food pantry, NY Human Resources Administration, Western Union, American Dental, a hot dog stand, a bagel cart and much more – we came back together to debrief/process with the Executive Director of the ACLU, Anthony Romero. Here’s a few AHAs I learned. Within seconds of stepping on to a chilly and breezy 9th Avenue, I felt poor. The 5 bills and MTA card weighed heavily in my pocket, reminding me that they were the only possessions I had. As a result, I quickly had to accept that the goods and services accessible an hour ago were now exclusively luxury items. Instead, I had to make trade-offs: the Onion instead of the New York Times; Walking instead of a taxi (or even the bus/subway); hope for a soup-kitchen lunch instead of a Starbucks breakfast. Given this new awareness, I was immediately ostracized from the business woman, graphic designer, and NYU students walking down the street. I also felt extremely timid – scared to get lost, scared to lose my $5, scared to get hit by a car. I felt a timidness that I could only marginally compare to being the new (minority) student at an entirely homogenous high-school. While visiting the various institutions – both government and nonprofit/faith-based – I was amazed at how poorly I was treated (yes, pun intended). One lady at a homeless shelter told me she didn’t have time to answer any more questions. Another told me I needed to leave unless I was going to produce identification. One gentleman gave me a stack of 100+ pages to read instead of answering my questions. I had to ask the perfect question to get any sort of answer. I had to speak boldly – which I didn’t do – in order to be recognized. I had to be subjected to the reality that this was just a job for the social worker, and I was another to-do item to check off the list as quickly as possible. Fortunately, this was strongly juxtaposed by the experiences I had with nearly every marginalized community member I met. They accepted me with open arms (literally, in some cases), smiles, and stories of successes and failures within the system. One new friend, a gentleman named Sam in his mid-thirties from Harlem, even went as far as to offer me a pair of new Dockers that didn’t fit him and an Abercrombie shirt similar to one he already owned. 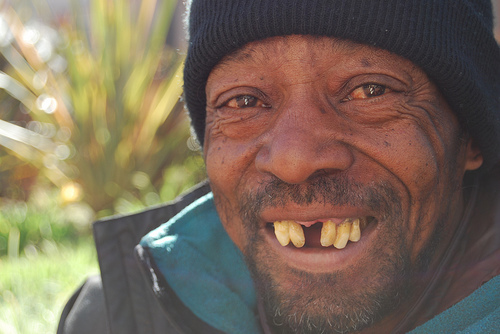 Another new friend offered to walk me 15 blocks to a drop in center, after I was practically crucified at a shelter with which he’s also had problems. Another invited me to a monthly party he hosts in his projects. And each offered every piece of information possible about how to beat the institution that has treated them so dehumanizingly. One of the closest friends I met during the day – a 59 year old New Yorker whose stories more than lived up to his nick name Stereo – forever changed how I think about people. I told him I had been struggling with the notion of poverty: who’s considered poor and what to do when people put that label on you? I’ll never forget his response: don’t ever let someone stigmatize you. All they are doing is depleting your confidence. 90% of the stuff you need in life will come from confidence. Don’t let anyone rob you of that. These are words that have deeply impacted me, and a few of the lessons that will forever affect how I think about the poor (a term that I no longer feel comfortable using). Stay tuned as I plan to share more insights next week, and as the other Fellows share theirs (here, here and here). Thanks for sharing this Benje. Stereo has a very good point and his pride, his dignity are remarkable. Worth remembering that poverty in not only in the pocket of people but in the minds. Helping low income earner increasing their income is a part fighting poverty. Restoring a sense of dignity in those that lost it, is just as important. If not more. Thanks for the comment Mario, and also for sharing about your experiences on your blog. You’re absolutely right, there’s so much we can learn from Stereo, and from your conversations with Robbie and Robert... I’m almost embarrassed at how much my paradigm is shifting! Wow, this must have been such an eye-opening and humbling experience. It makes me smile to be reminded of the stories of humanity in people from all walks of life (e.g. the man who offered you pants and a shirt because he saw that you had a need for them - he gave from his heart, God Bless him). Stereo had some profound thoughts to share with you - truer words have never been spoken. Keep up the good work Benje! Thanks Amanda! It really was profound... Still blows my mind actually, Sam offering me his pants and shirt and all the wisdom that Stereo shared... So unbelievably humbling.